Should You Pay Students To Study? Works for Kids Eating Vegetables….. Academic semesters around the countryside amble towards their endings. Many teachers think that perennial thought: How can we get more students to study more? In theory we teachers argue, if students studied more, students would learn more, do better on their exams, get better grades, be more satisfied with themselves, get better jobs (or get jobs in the first place) and live happier lives. Maybe we need to pay them. What???? A new study on getting kids to eat healthier have some insights for teachers and parents alike (Loewenstein, Price, & Volpp, 2016). Loewenstein and colleagues, went to 40 elementary schools and for either a 3 week or 5 week period, gave children a reward to get them to eat healthy food. Specifically, if kids ate at least one serving of fruit or vegetables at lunch, they got a 25 cent token. The tokens could be accumulated and exchanged for goodies at the school fair or bookstore. Bamm!!!!!!!!!!!! Kids ate more food during the experimental period AND AFTER. The increase in healthy eating lasted up to two months after the rewards stopped. The authors point out three reasons could explain why this happened. First, the kids formed a habit and habits, whether good or bad, are tough to break. Second, the rewards got them to try foods they would not have otherwise. Once they tried the items they discovered (or rediscovered) that the foods were not too bad. Finally, eating healthy could have become more ‘popular’ or normative. More kids were eating the foods. Hey, everyone is eating it, how bad can it be? Unfortunately, the study could not untangle which of the three reasons above explained the increase but it does show that even a small reward can bring on change that lasts at least for some time. More good news. The amount of healthy eating did not drop significantly after the end of the study, nor did it drop below rates of eating at the start of the study. This suggests that intrinsic motivation, that internal liking of the foods for the foods sake, did not change. As a parent, I know that getting kids to eat healthy food is not always easy. Not all kids automatically make healthy choices. Some do. 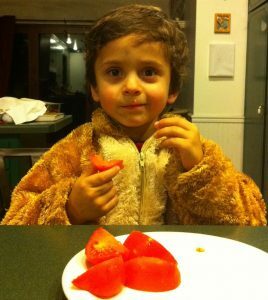 My son happily snacks on cherry tomatoes, fruit, and will try any vegetable. My daughter does not even sit in the vicinity of any citrus or wolf’s peaches (aka tomatoes). The usual psychological science-inspired parental tricks include starting kids on healthy foods early, presenting healthy food in positive surroundings, having more than one vegetable as an option (i.e., give children choice), and modeling good eating behaviors by having parents eat well in front of their kids (yes, parents can sneak those salty, fatty snacks in when kids are not around). And of course, we can just try telling them to eat better. Good luck with the last part. Telling kids they SHOULD eat healthy foods is akin to telling students they SHOULD study more. Nice in theory. Not as effective in practice. There are two options parents tend to gravitate to naturally. One is to reward kids for eating well (“eat your peas and you get dessert”). The other is to punish kids who are not eating healthy (“no dessert for you!!”). Both are relatively easy to do but psychological science suggests that although one is faster (punishing your kid, yelling at them or worse) and will get immediate behavior change, the other is better for the long run. Reward is linked to longer term behavior change in general and is the recommended route instead of punishment. Oh if it were so simple. Reward can have negative consequences. If you reward someone for doing something then you run the risk of the new behavior stopping after the rewards stop or providing what is called “extrinsic motivation”. So yes, a kid who is given dessert will eat their greens but they are not doing it because they like peas (what is called “intrinsic motivation”) but because they want that dessert. This risk is higher if the reward is very high. Give a kid $50 every time they eat their vegetables and you will really have a problem. Can kids and eating tie in with students and studying? Here is the key. They are both good habits. If we can start a good habit, chances are it will continue. Not surprisingly, there has been a lot written about habits in the last few years. 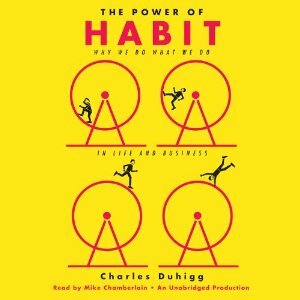 For a more scientific approach check out Charles Duhigg’s Power if Habit. Interested in specific ways to change habits? Try Gretchen Rubin’s Better Than Before. If we change student habits (yes, make studying a habit) we are on the right track. The kid study gives me some ideas for how to change student studying behavior. I already provide some rewards to students who follow my studying recommendations. For example I provide bonus points for students who repeatedly test their own learning and those who space out their studying. The cautions inherent in the study give me pause for concern as both a teacher and a parent. Finding the right level of award is tricky and I would hazard a guess that it would be easy to go too high. In my experience as both parent and teacher, it is more difficult to go too low. Both my kids and my students both take their games (or eating) up a notch, even with the promise of a small reward. I am also cautious about how long such effects last. This study followed kids for two months and although seeing the increases hold that long are positive, would they drop off over a longer term? Worse, would they drop to lower than before the start of the study? We want good studying and good eating habits to last a lifetime. There are clearly ways to motivate students to study beyond highlight the intrinsic satisfaction and pride of learning doing well can provide.